Our mission: sharing the passion for our beautiful city with our guests and give them the best possible experience. 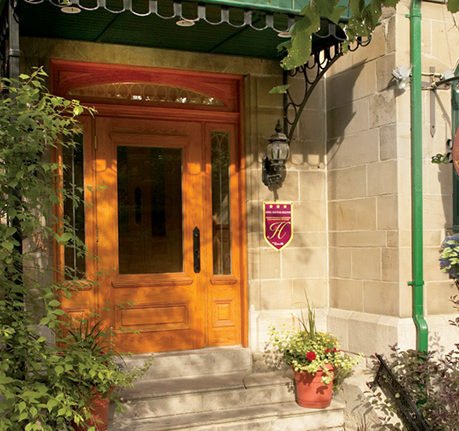 Hôtel Château Bellevue is located in the first four houses in a row of ten, built over a hundred years ago. Our walls are made of stone and history. Today, modern yet cozy, we are one of the best kept secrets in town. We are a passionate, warm and dynamic team, and we are aware of how lucky we are to work in such a special place. It will be our pleasure to share with you our love for our city and our region. We strive to promote the city and the surrounding area, while protecting our nature and culture. We also want to help our economy, and in order to do so, we buy strictly Québécois products. Our main goal is to offer the very best service we can while minimizing our ecological impact. Who can claim to be a stone’s throw away from the Citadel, the Plains of Abraham, the Château Frontenac, Québec’s National Assembly, the Quartier Petit Champlain, the Dufferin Terrace? We can! Hôtel Château Bellevue is perfectly located in the heart of the old city, close to all the main attractions: beautiful historical buildings, close to the two main museums. Close to the water and the old harbour, the Musée des Civilisation will allow you to discover more about our ancestral history. By the Plaines of Abraham, the Musée des Beaux-Arts offers a unique chance to discover our local talents as well as famous international artists. 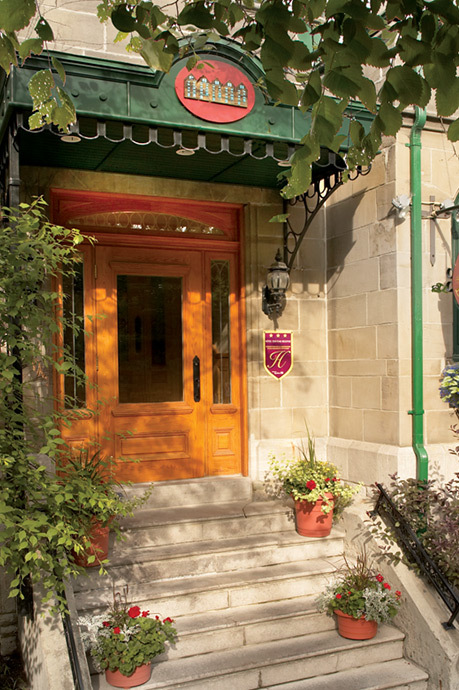 In the Old City and nearby neighbourhoods Haute Ville and St-Roch, you will find most of the best restaurants in town. 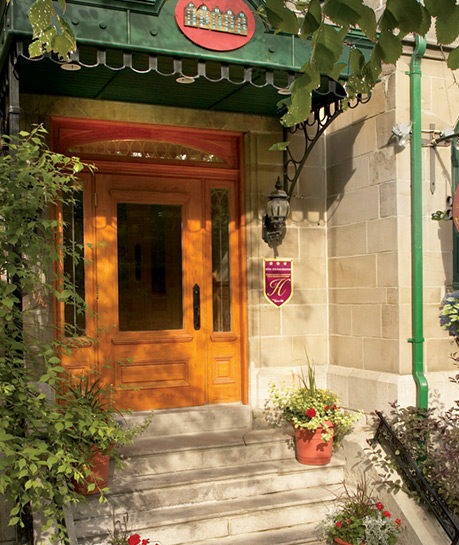 Ask our front desk team to get our recommendations – we can’t wait to share with you the best well-kept culinary secrets of Quebec City. In the mood for some shopping? 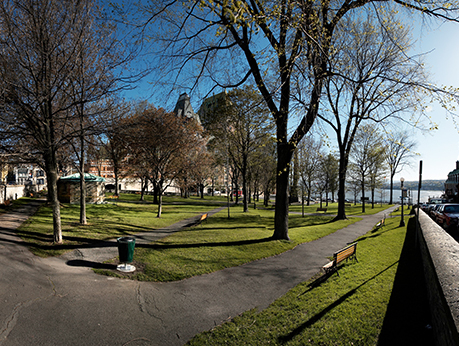 The Quartier Petit Champlain is right around the corner. We are also close to a Metrobus stop. 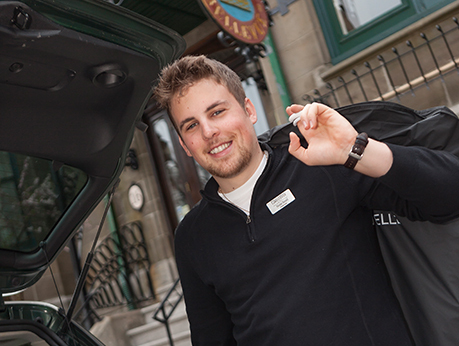 Hop on and in no time you’ll be at three shopping malls: Place Ste-Foy, Place de la Cité and Place Laurier.